Contact our offices for a free phone consultation about your specific legal needs with an attorney at our office. We accept major credit cards for your convenience. Driving a truck to put himself through college, Tom graduated from the University of Washington with a "Poli Sci" degree in 1965 and then stayed at the U-Dub to earn his law degree in 1968. With degree in hand, Tom joined the Air Force where, as a JAG attorney, he served as a requested defense counsel, trying court martial cases from Boston to Thailand. One would think he would have settled down after that; and in fact, he did to some extent. Tom became an associate at a large downtown Seattle firm, and after numerous firm changes, machinations and mergers, became a director of the firm until 1990. At that time, Tom's life took a new turn. He left his Seattle office with Rick Lowell to become a founding director of today's Magnuson Lowell, P.S. Because his home was in Tacoma, Tom spent many nights in those early days sleeping on the couch at the firm's Redmond office. Eventually, he moved closer to work and, today lives with his wife Judith on their beautiful spread, raising pet alpacas, llamas and sheep! For recreation, Tom enjoys commercial fishing in Bristol Bay, Alaska and has served as a guide for salmon fishing. He also loves being a "Mr. Fix-it!" "I have no idea what they are trying to tell me they do!" 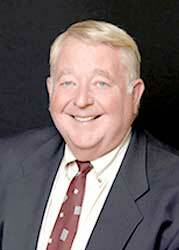 Tom's practice emphasized personal injury litigation and misdemeanor and traffic infraction defense. Tom has retired from the practice of law but is still breathing and loves "shooting the breeze" with attorneys and clients alike.